Just have a look at this Black Forest Decor exclusive! 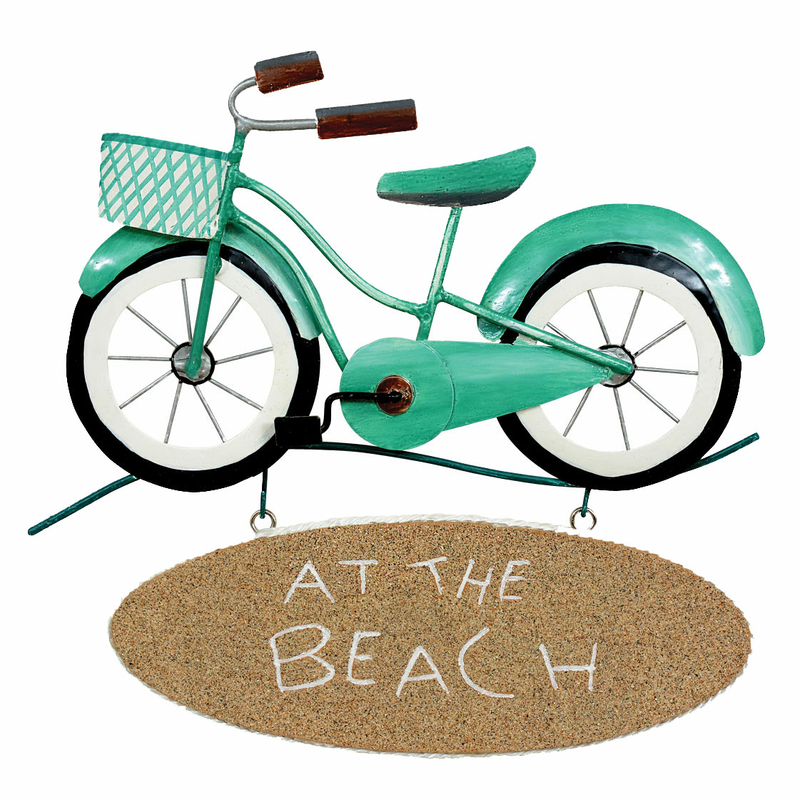 Handcrafted metal vintage bike holds a hanging sign with sand texture. Hand painted. Size is approximate. Allow 2 weeks. This beach wall art measures 13"W x 13 1/2"H.
For even more pieces, we encourage you to take some time to look through our full assortment of beach wall art at Bella Coastal Decor today.